The worksheet is in a PDF format, but can also be accessed using Google Slides. 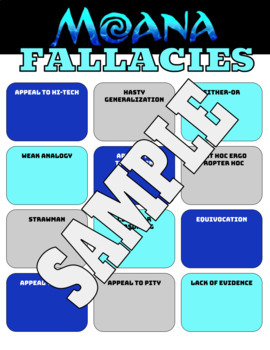 Students get to watch the movie and see if they can locate any of the fallacies. 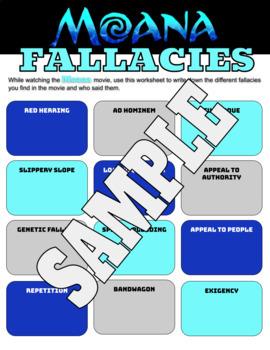 There is no answer sheet, but just a fun project for students to do while watching a movie at the same time.